The origin of Zoroastrianism dates before the 6th Century BCE. It was believed that the prophet Zoroaster encountered Ahura Mazda, the god of wisdom and light, in a vision. He was chosen to spread the beliefs of Zoroastrianism to the rest of the world. Click here to find out more on how Zoroastrianism began. During that time, the Achaemenid Empire was formed, and it became the first Persian Empire. Led by Cyrus the Great, the Persians defeated many kingdoms and empires. With places such as Babylon, Lydia, and Egypt conquered, Zoroastrianism quickly spread throughout the empire, becoming the state religion of the Persians. However, attacks from outside invaders soon affected the beliefs and cultures of Persia. Around the 3rd century BCE, Persia was conquered by the army of Alexander the Great. Although interest in Zoroastrianism was renewed through the fall of Alexander the Great's empire and the rise of other kingdoms,a Muslim invasion took over Persia in the 7th century, and converted the nation to Islam. During these invasions, numerous Zoroastrians were forced to leave Persia, as they did not hope for any conflicts with other religious beliefs to emerge. Many fled to India, and these escapees are known as Parsis. Here is a timeline of the rise and fall of Zoroastrianism in the Persian Empire. 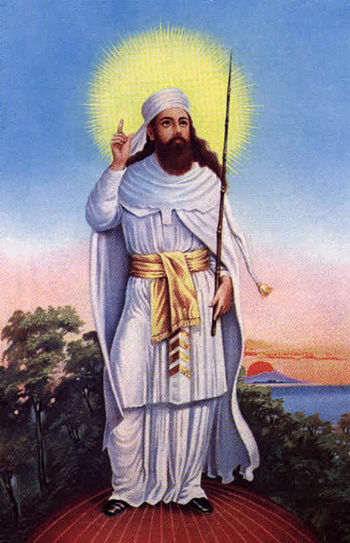 The accepted date of Zoroaster’s birth, and along with that, the birth of Zoroastrianism. The Achaemenid Empire became the first Persian empire, and Zoroastrianism spread throughout the kingdom. Alexander the Great conquered Persia, and the beliefs of Zoroastrianism in the empire weakened. Successors of Alexander the Great established the Atropatene kingdom. Zoroastrianism appeared through the Seleucid Empire. The Parthian Empire encouraged the growth of Zoroastrianism. Zoroastrianism stayed strong in the Sasanian Empire, the last Persian empire. Muslim intruders led to the rise of Islam in Persia, and many Zoroastrians escaped to India. They are known as Parsis, or Parsees. Being one of the oldest religions in the world, it is unknown to us the exact number of Zoroastrianism followers today. There are approximately a range between 100,000 to over 250,000 Zoroastrians in the world.